A few weeks ago, at the Frankfurt Motor Show, Ford announced that it's going to establish a new sub-brand. ‘Vignale’ will be the name, and there was, at first, a frisson of excitement about the revelation. 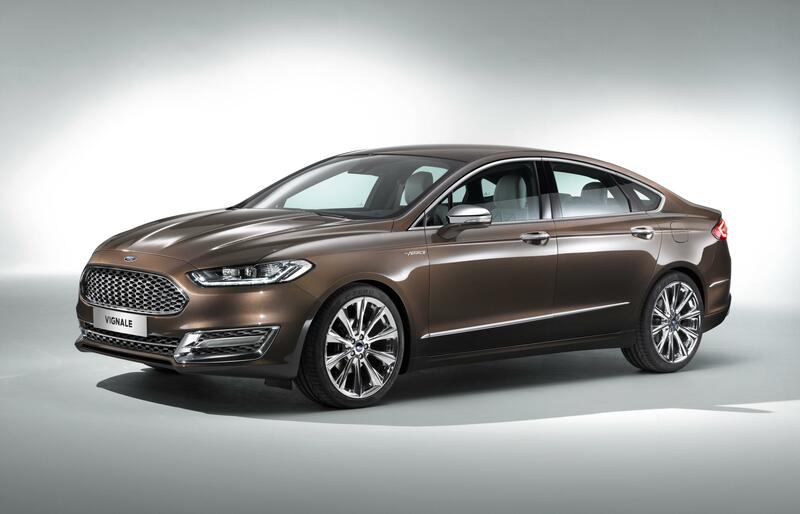 Was this Ford finally doing what many think it really needs to - starting up an all-new premium marque that could take on the likes of BMW, Audi and Mercedes? Disappointingly, it turned out the answer to that question was ‘no’ – instead, Vignale will be a trim level used on poshed-up Fiestas, Foci and Mondeos that you’ll be able to buy from a ‘Vignale lounge’ alongside a variety of other services such as banking and insurance. Yawn. Problem is, that feels a little half-hearted. Commentators say that what Ford really needs is a completely new brand if it really wants to take on the premium manufacturers. Something like Lexus, for example. Lexus really is the daddy of automotive sub-brands – and its continued success is a prime example of how to play that particular game. 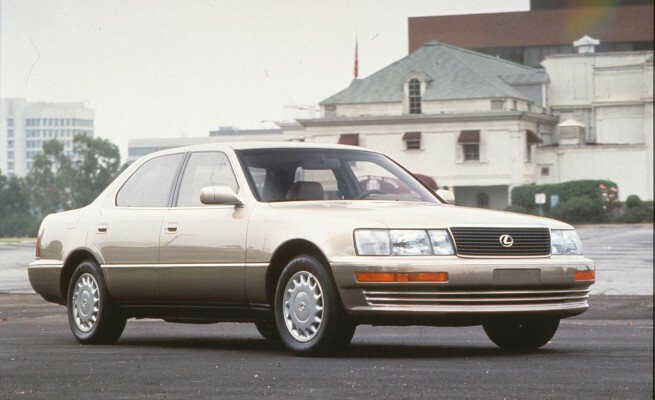 The company might today be able to boast an eight-strong model range that includes the magnificent LFA, but Lexus started with just one car: the LS400. But because the LS400 was ridiculously good, it made the mark it needed to. Believe it or not, it was first conceived as early as 1983, when Eiji Toyoda – boss of Lexus’s parent company, Toyota – decided the company was in need of a full-size, luxury model, to cure a problem that had arisen as an unexpected product of Toyota’s success in the USA. When buyers of Toyota’s compact, economical cars wanted to graduate to a larger, more luxurious model, there was nothing on the company’s line-up to suit – and so Toyota was losing previously-loyal customers to Mercedes, BMW and Jaguar. So the company's engineers took the task of building “a world-class, high-performance luxury car”. The new project was codenamed ‘Flagship 1’ or ‘F1’ for short, and also known as ‘Circle-F’, as it was often written down as the capital letter F within a circle. And it was Toyoda's decision to offer his staff no budget or time constraints that was to prove crucial – he knew that if he was going to take on the might of the German brands, he’d need his contender to be more than a little bit special. The original plan was for a low-slung, sports-oriented design with pop-up headlights and a sloping nose, but it was soon decided that a more traditional, upright look with a large grille in the vein of the class-leading Mercedes S-Class would go down better with buyers. By 1985, the first prototype had been constructed, and then in 1986, on-road testing began. By now, Toyota knew it was going to market the new model under an entirely separate brand in the USA and Europe – and while that might have seemed a bold move back then, the company knew that its flagship would never be taken seriously with the badge of a compact car maker on its nose. It came up with the name ‘Lexus’ – pseudo-Latin, to convey an air of imposing authority, and with more than a passing resemblance to ‘luxus’, the German word for luxury. The ‘F’ within the circle became an ‘L’, and the Lexus logo was born. By May 1987, the final design for the car had been signed off and patents had been applied for, and then in 1988 the full name – LS400 – was agreed upon, in time for the car to make its official debut at the Detoit Motor Show in January 1989. Later that year, it went on sale in the USA, with European and Australian order books opening in 1990. 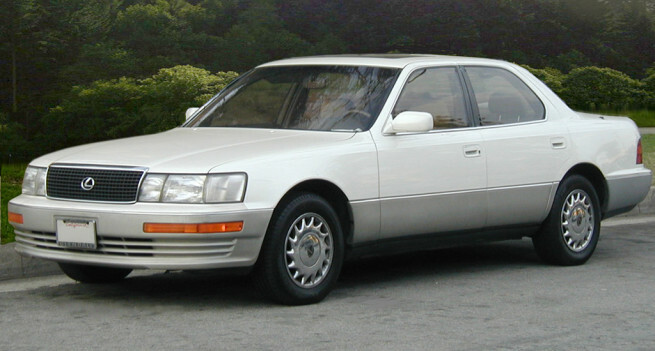 Development of the LS400 had cost over $1 billion in total, and resulted in no less than 450 prototype vehicles. But it showed in the finished result. Rather than a glossy Toyota, the Lexus was an entirely new car in its own right. It shared no parts with any Toyota model, which had been a key criterion throughout the development process, and it was a technological masterpiece. The body was constructed from sandwich steel, to keep vibration to a minimum, and a number of neat design touches such as airflow fairings and flush doorhandles and windows helped reduce wind noise, not to mention keep the drag coefficient down to a remarkable 0.29. 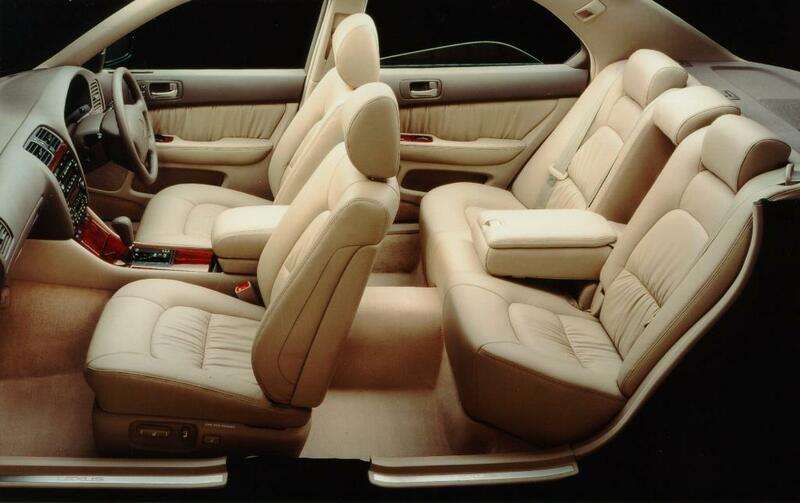 The LS400 also had a host of equipment way in advance of its time, including holographic, electro-luminescent gauges, electric memory seating, an electrochromic rear-view mirror and fluid-damped switchgear. Even air suspension was available as an option, with the standard setup featuring double wishbones front and rear. Power came from a 4.0-litre V8 engine, codenamed ‘1UZ-FE’, which produced 254bhp and meant the LS400 was capable of 160mph. 0-62mph, meanwhile, came up in 8.5 seconds. It was, in short, a hell of a package. As you’d expect, then, it was received pretty well. Press and public alike were blown away by the LS400’s extraordinary refinement and gadget-filled cockpit. And while it didn’t quite have the soul of the contemporary Jaguar XJ6 and Mercedes-Benz 420SE, it stood head and shoulders above both in terms of modernity, refinement and capability. The LS400 continued in the same basic form, going through two facelifts in its life and gaining continual improvements throughout. 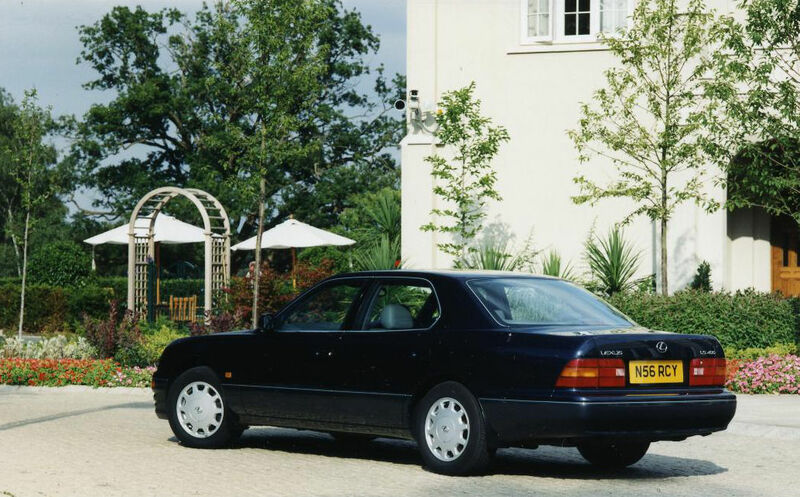 By the time it was phased out in 2001 in favour of the considerably less attractive LS430, the LS400 could hit 60mph in just 6.7 seconds, making it quite a force to be reckoned with in the performance saloon stakes, and although now its handling felt rather stodgy by contrast with the competition, the fact that it could still hold its own in terms of refinement and specification showed just how advanced it had been at its launch ten years beforehand. 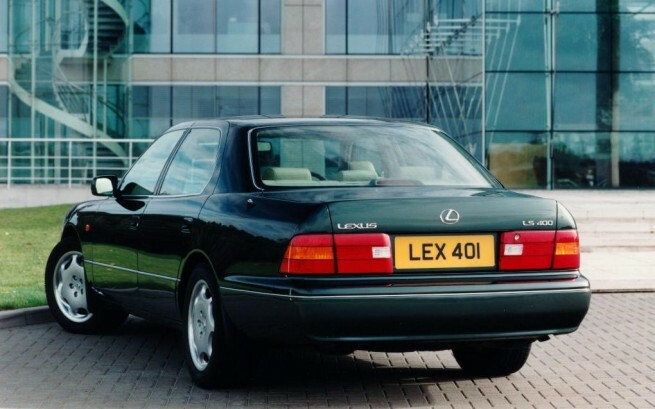 So, a bit of a tour de force, then, the LS400. But we haven’t mentioned the best bit yet. You see, today, the big LS’s tonking great engine puts plenty of buyers off – and that means that prices are absolutely on the floor. You can pick up a fine example of an early LS400 these days for less than a grand. That’s right – all this finery can be yours for as little as £600. This early example is still a handsome car, and check out the condition of the interior, despite having 130,000 miles under its belt. That said, a full history is probably preferable, and it can be had for just over the £1000 mark, as this facelift (or ‘Series 2’) example shows. It’s even got an agreeably low mileage – what more could you want for this sort of cash? Of course, you might prefer a last-of-the-line Series 2a car, which you can tell apart by its crystal-effect twin-chamber headlamps and wing-mounted, rather than bumper-mounted, front indicators. Even these can be had for less than £1500 these days, as this example demonstrates. And what to do with your new purchase? Ah, well that’s just the beauty of it. Because, you see, not only is the LS400 a cracking car in its own right, but given a decent set of pipes to breathe through it makes a noise like the fabric of space and time being torn apart. Video 1 And let's not forget, of course, that it's a bit handy at going sideways. Check out this video of a completely stock example indulging in some elegantly-held drifts. Video 2 In short, then, we know we want an LS400 - and we reckon you should too. 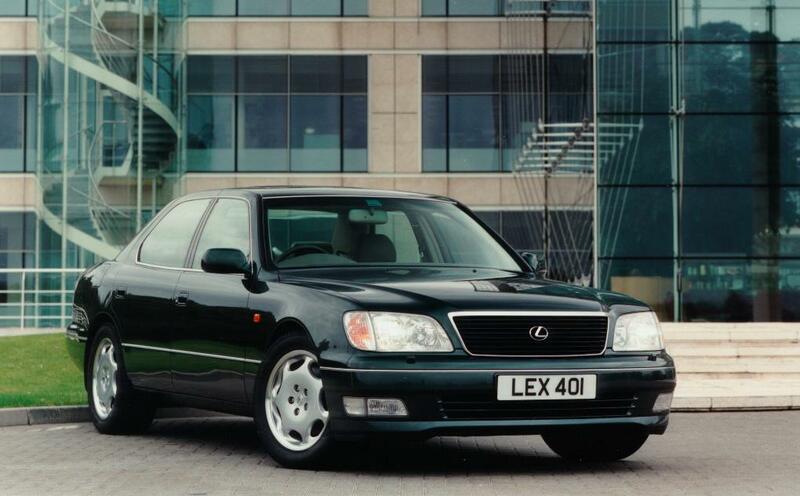 And now’s the time to buy, because one day its place as the first-ever Lexus will guarantee it classic status – so you might as well buy two, stash one in the garage, and use the other to have some fun in. It makes perfect sense. Right?